Tupac Shakur's slew of posthumous works just got a little odder. The late rapper's songs are set to be featured in an upcoming musical, Holler if Ya Hear Me, which will hopefully hit Broadway in the 2013-14 theater season. Produced by Shakur's mother, Afeni Shakur, the musical is an original story about two childhood friends in a fictional Midwestern industrial city as they struggle to meet their dreams in the face of tough circumstances. 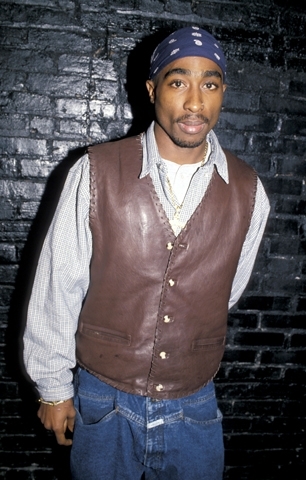 "Tupac was a prophet and I want everyone to see that," director Kenny Leon – whose credits include A Raisin in the Sun and Fences – told Broadway.com. "[Holler if Ya Hear Me] is a present-day musical using all of Tupac's music, but Tupac is not a character in the musical." Todd Kreidler, an associate director for Fences, wrote the book while choreography will be handled by Tony winner Wayne Cilento (Wicked, Sweet Charity). The musical is currently being workshopped with no theater or casting announced.